The 2016 US election is nearing and people are placing their final bets on who is going to win. There are dozens of prediction markets and sportsbooks out there taking bets on whether Trump or Clinton will win the highest seat. 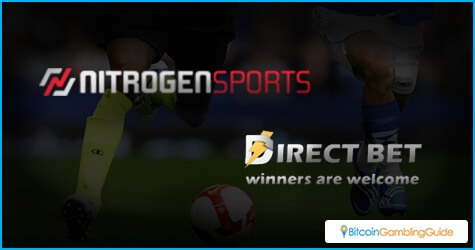 This includes big names like William Hill and Ladbrokes to Bitcoin and cryptocurrency exclusives like Directbet and Nitrogen Sports. The biggest source of bets seems to be in the UK. A recent example of this is a bet placed by a man for £200,000 that Trump would win. This is just one of many six-figure bets that have started coming in as Election Day draws nearer. 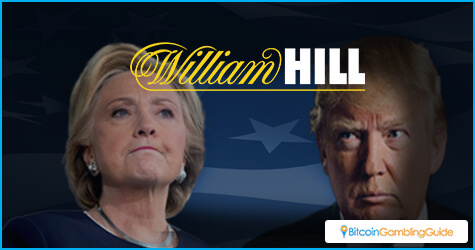 It has already broken records with both spokesmen from Spreadex and William Hill announcing bets ranging from a £200,000 on a Trump victory to a £150,000 on Hillary Clinton becoming America’s first female president. It is not just the Brits that are getting into the action. It is illegal to place a bet on an election in the US, and this brings to no surprise that there are trading platforms connected to universities that allow people to buy shares in futures market. The data from the markets are for academic research, but they also give people a chance to bet. 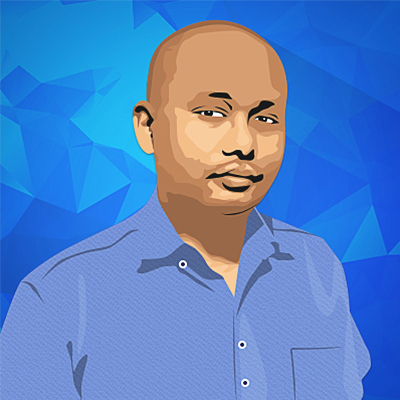 There is PredictIt, which was launched back in 2014 and operated by Victoria University in Wellington, New Zealand, along with Washington, D.C.-based political consulting firm Aristotle International Inc. They show that the markets most active bets right now are all about the election. Another example is the Iowa Electronic Markets, which has been tracking US elections for the University of Iowa since 1988. The market announced that it was doing even more active business than the last election. All of the markets show that Clinton has a high chance of winning. The PredictIt market pegged Clinton at an 81-percent chance to win, while IEM has a more conservative 71-percent chance. UK betting books are also confident about a Clinton win; however, this does not stop Trump fans from making wagers. As it stands, they all have Clinton winning at 83 percent, while Trump’s chances are in the low 20s. Trump bettors are confident of his victory and they will get a windfall if he does manage to win. Election Day has just dawned, though. Those who want to get a piece of the pie should get started in Bitcoin election betting online and secure their bets now. After all, there will be a new president within the week. Those who wish to earn more profits should head over to Bitcoin sports betting sites that cover this highly anticipated event.